SACRAMENTO — Gov. 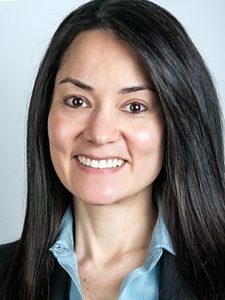 Jerry Brown on Wednesday announced the appointment of Tracie L. Brown, 47, of San Francisco as associate justice, Division 4 of the 1st District Court of Appeal. Brown has served as a judge at the San Francisco County Superior Court since 2013. She was an assistant U.S. attorney at the U.S. Attorney’s Office, Northern District of California from 2002 to 2013 and an associate at Cooley Godward Kronish LLP from 1997 to 2002. Brown served as a law clerk for Judge M. Margaret McKeown at the U.S. Court of Appeals, 9th Circuit from 1998 to 1999 and was an associate at Morrison and Foerster LLP from 1996 to 1997. She earned a juris doctor degree from the UC Berkeley School of Law and a bachelor’s degree from Harvard College. She fills the vacancy created by the retirement of Justice Timothy A. Reardon. This position requires confirmation by the Commission on Judicial Appointments, which consists of Chief Justice Tani Cantil-Sakauye, Attorney General Xavier Becerra and Senior Presiding Justice J. Anthony Kline. Brown is a Democrat. The compensation for this position is $237,365. In 2002, Brown received an award from the California Young Lawyers Association for her pro bono litigation services and outstanding leadership in a civil rights case, Soko Bukai v. the YWCA of San Francisco. The case involved the YWCA’s attempt to sell its property at 1830 Sutter St. in San Francisco Japantown, formerly known as the Japanese YWCA. At issue was ownership of the building. When Issei Christian women raised money for its construction, the 1913 Alien Land Law was still in effect, barring Japanese immigrants from owning most kinds of real property. Soko Bukai, a consortium of Japanese American Christian churches in San Francisco (Christ Episcopal, Christ United Presbyterian and Pine United Methodist), challenged the sale, which would have resulted in the loss of a historic building as well as the eviction of a preschool operated by Nihonmachi Little Friends. Brown, who is half Japanese, persuaded her firm, Cooley Godward, to take up the case. By locating and translating relevant documents, the legal team was able to establish that the YWCA had in fact agreed to hold the building in trust for the Issei women in the 1920s. Through an out-of-court settlement, Nihonmachi Little Friends was able to purchase the building at a greatly reduced price.